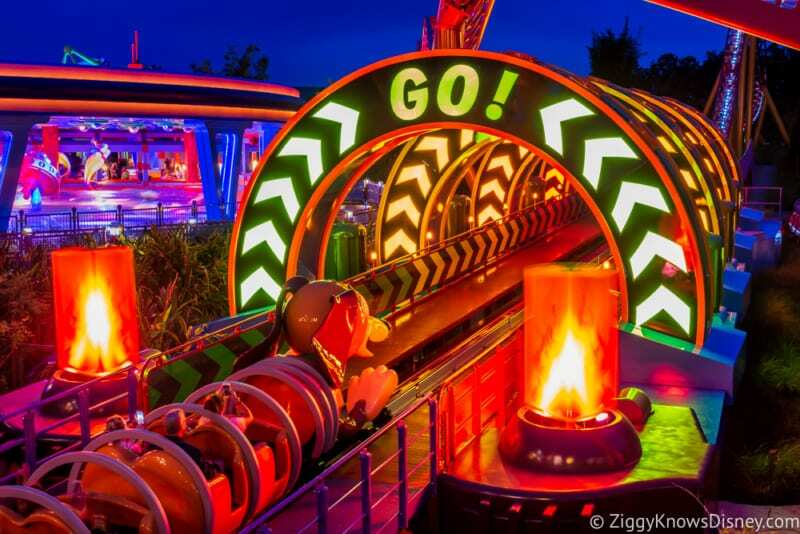 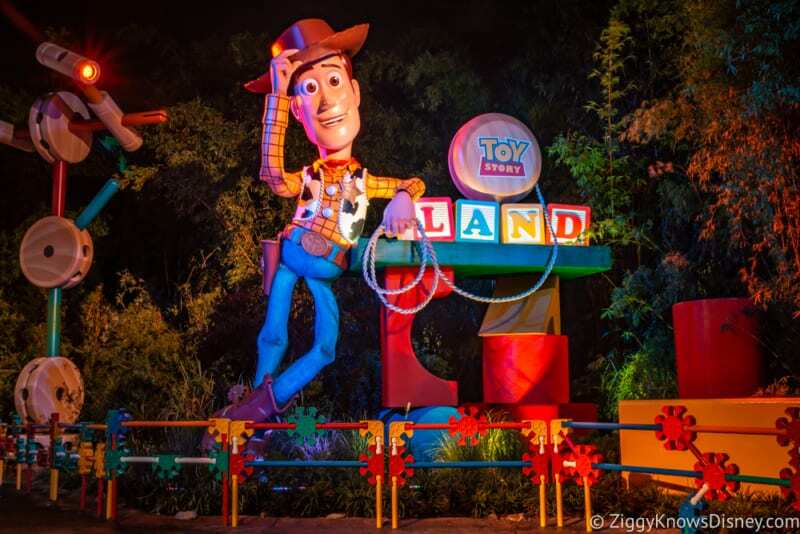 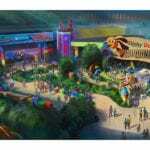 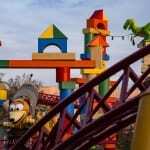 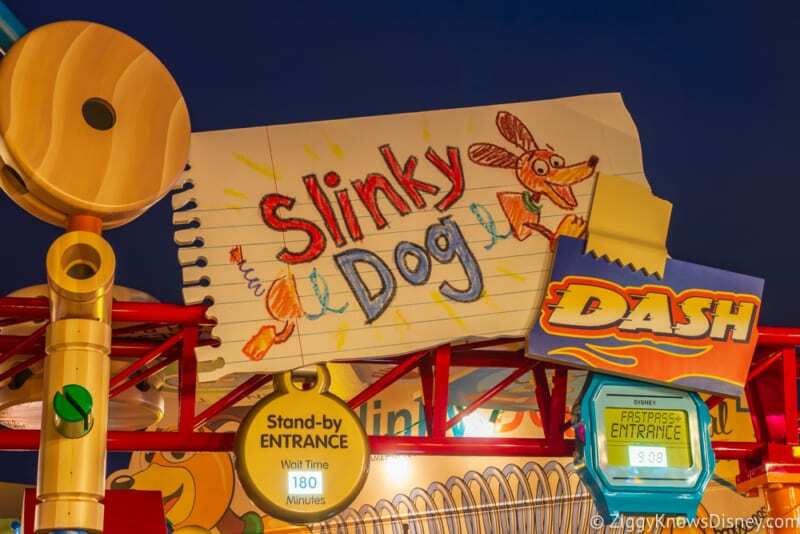 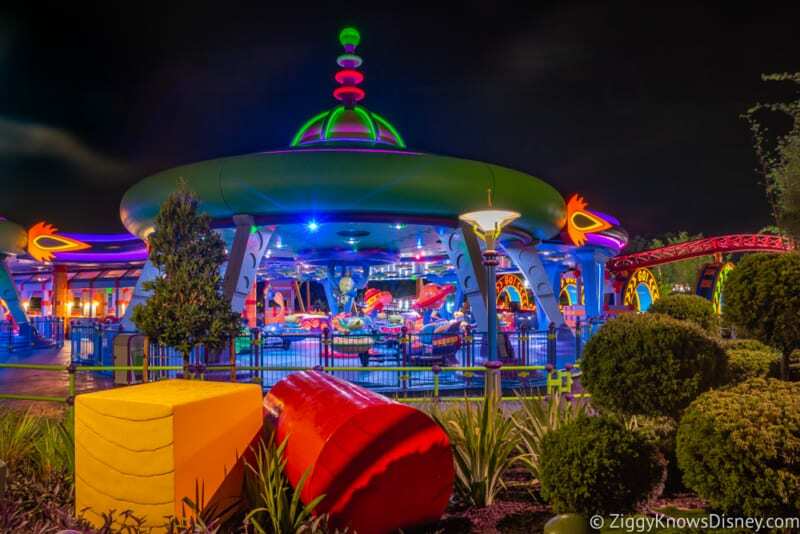 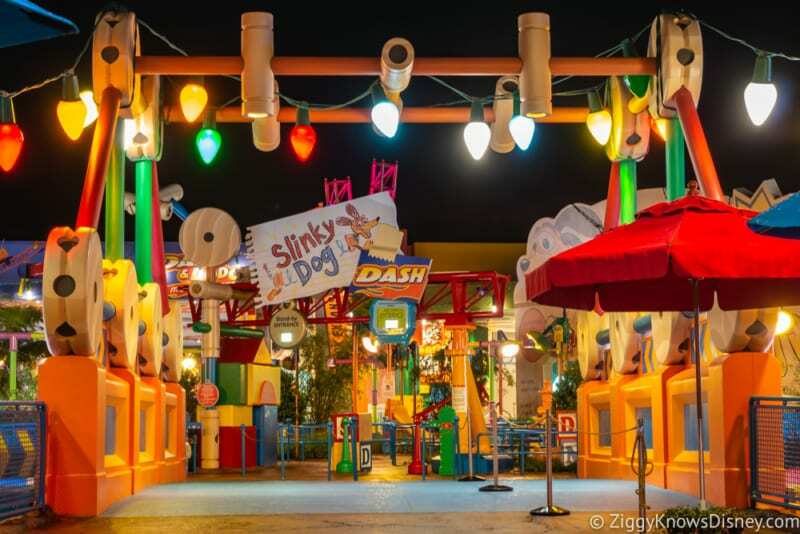 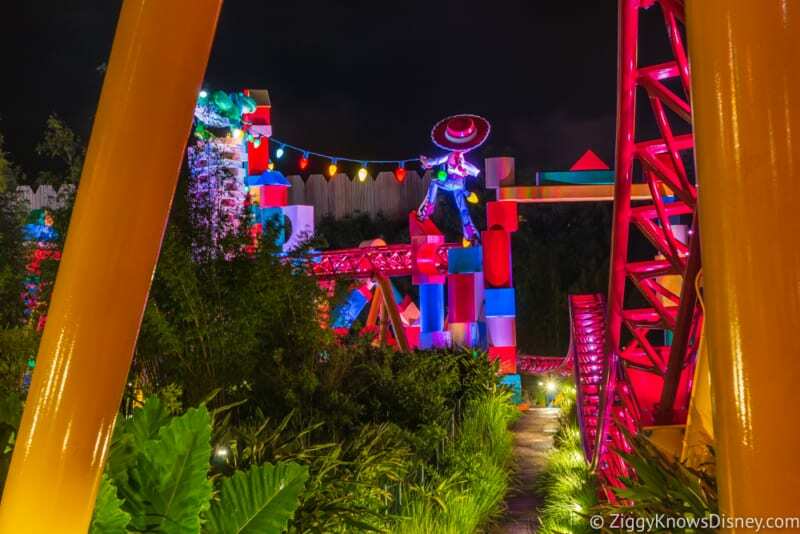 Last week when we got our first glimpse of Toy Story Land at night we knew it would soon be one of our favorite places to visit in Walt Disney World. 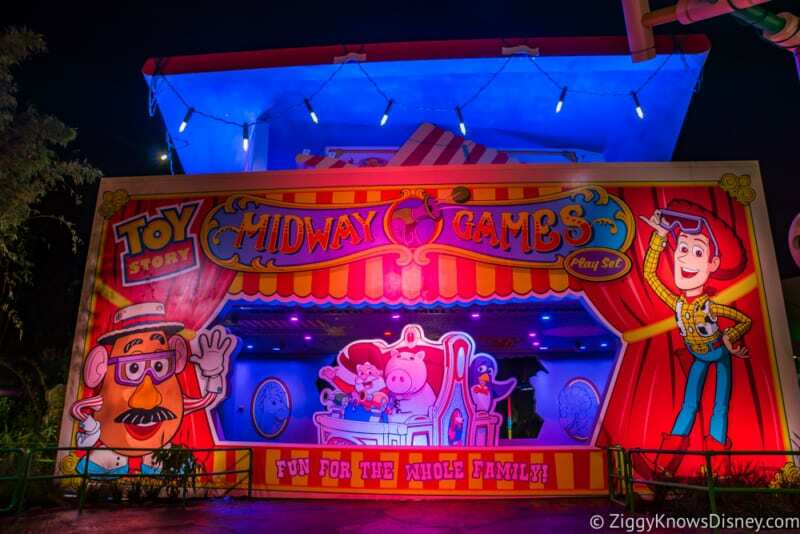 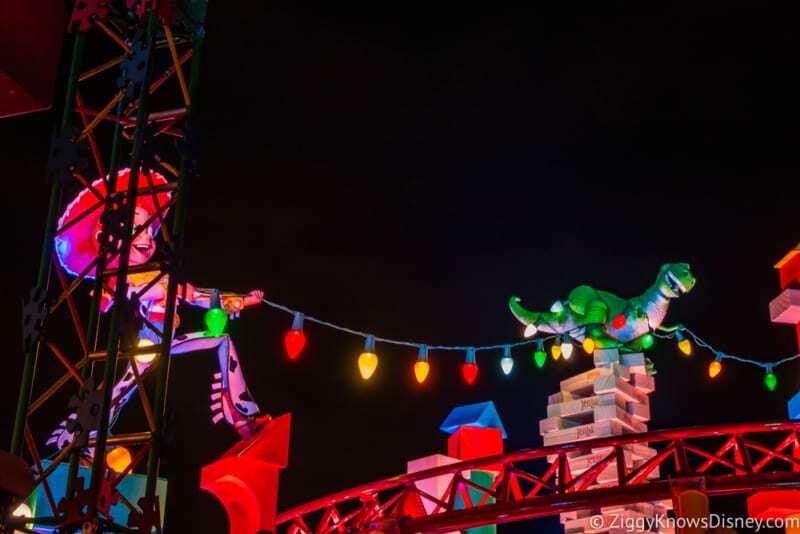 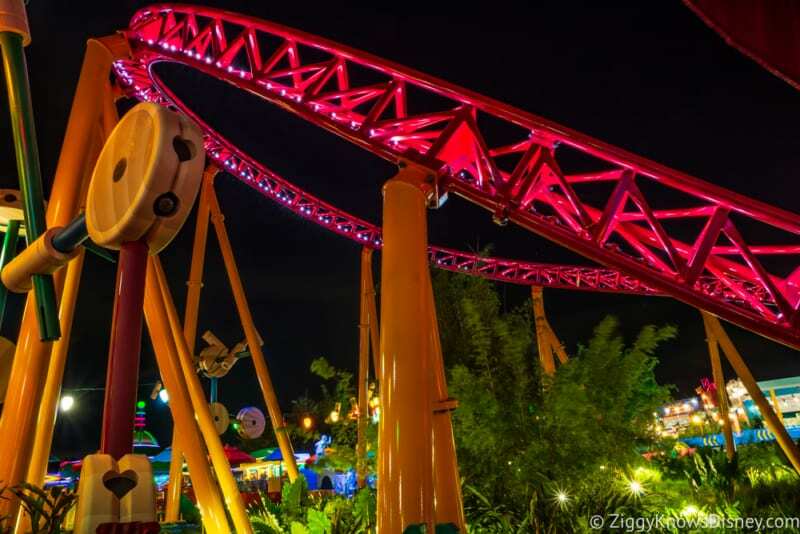 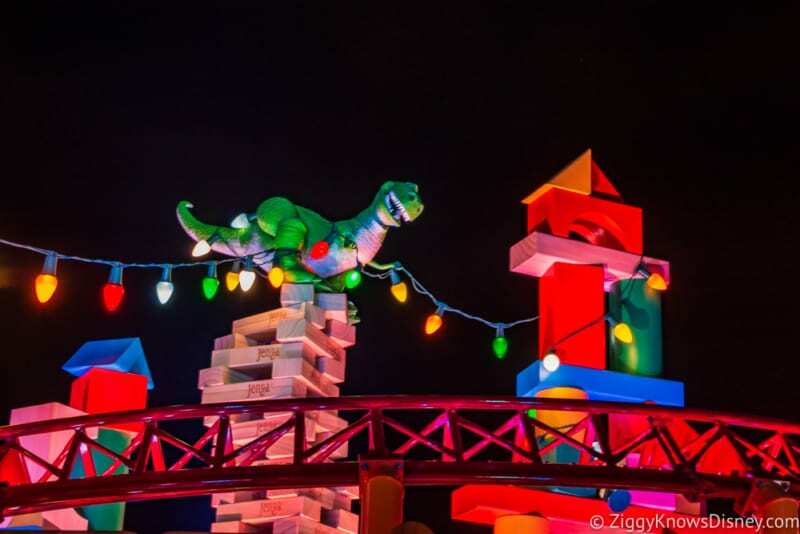 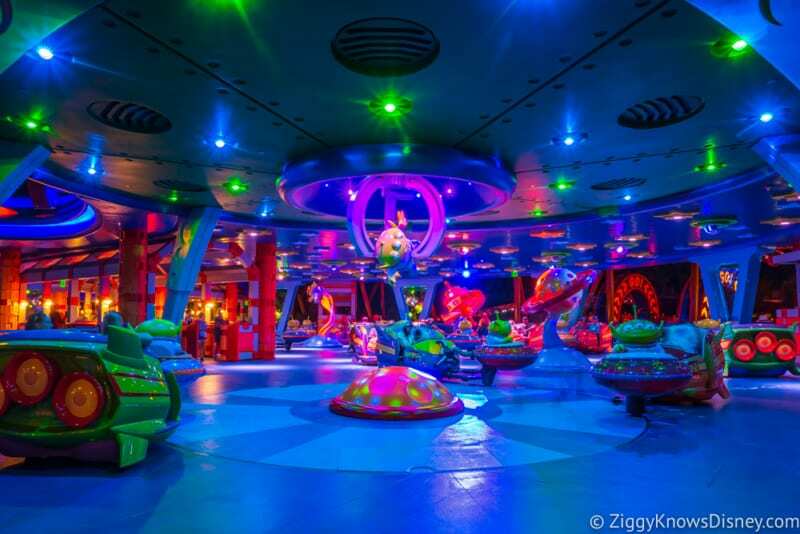 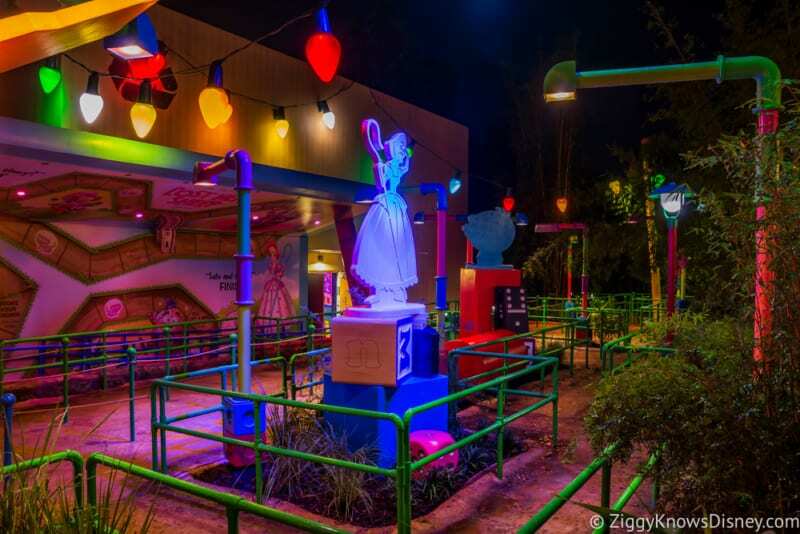 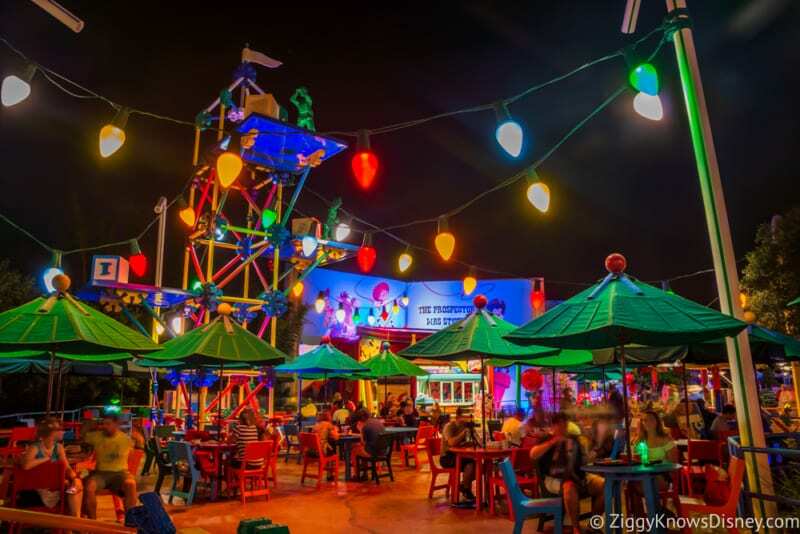 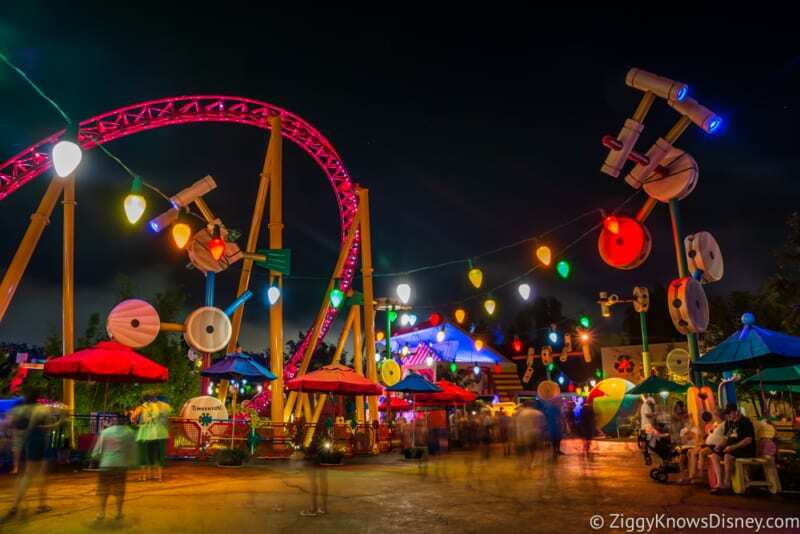 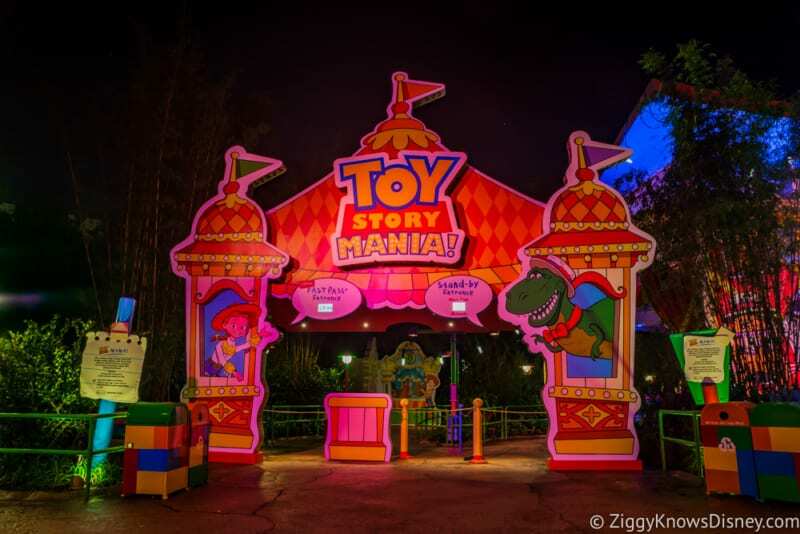 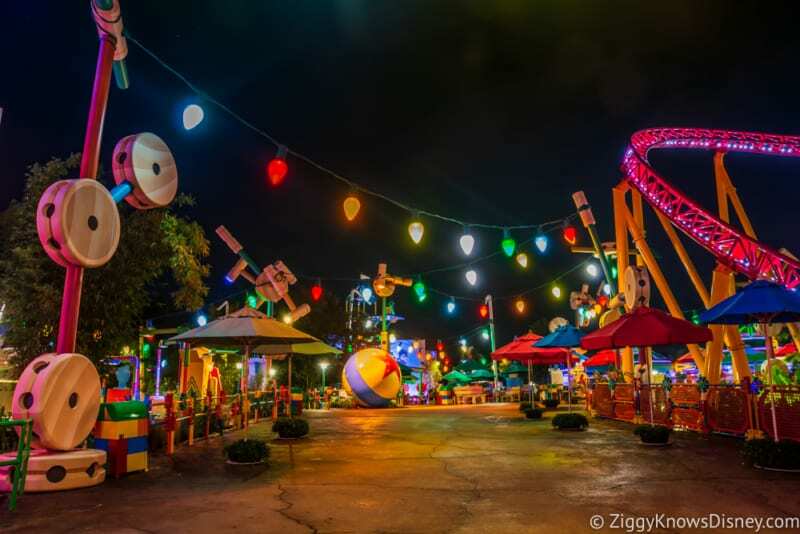 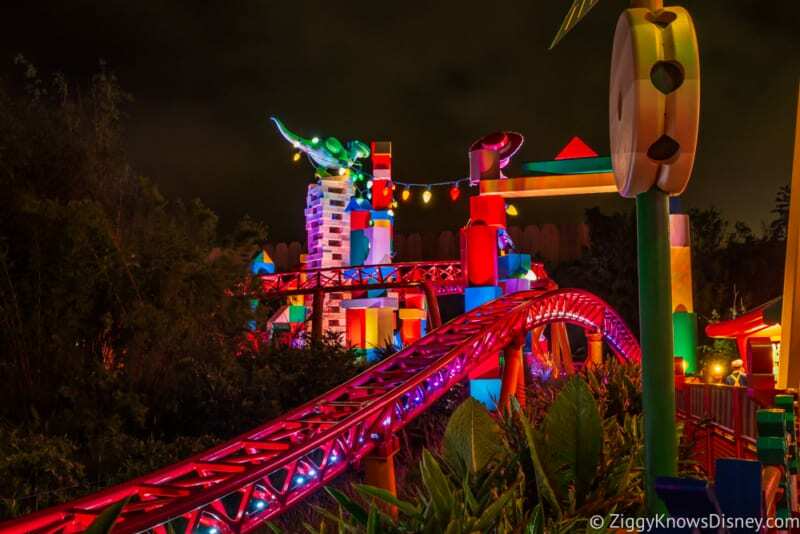 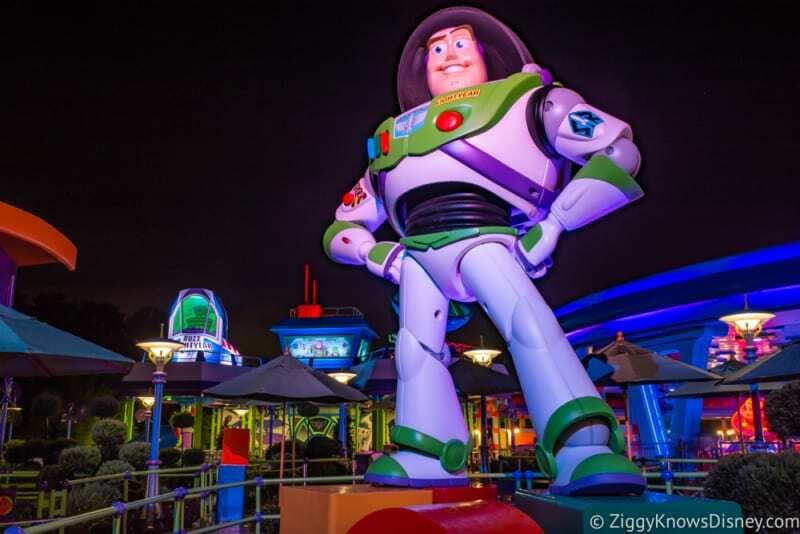 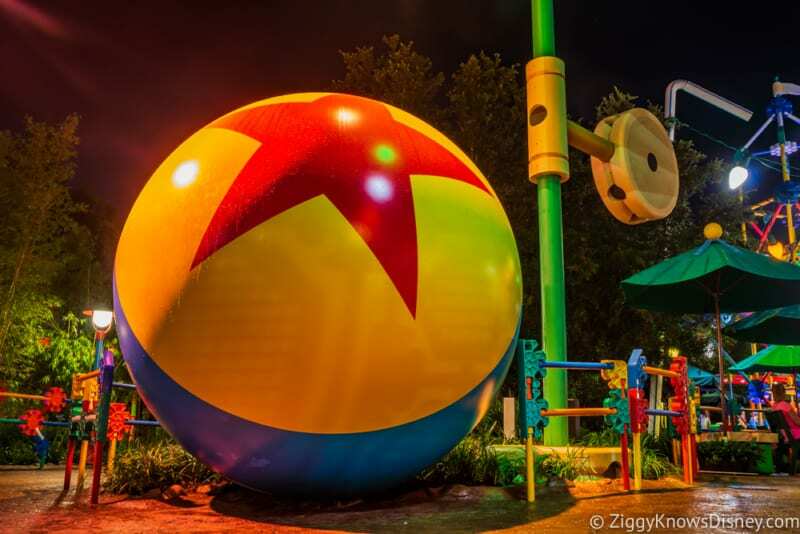 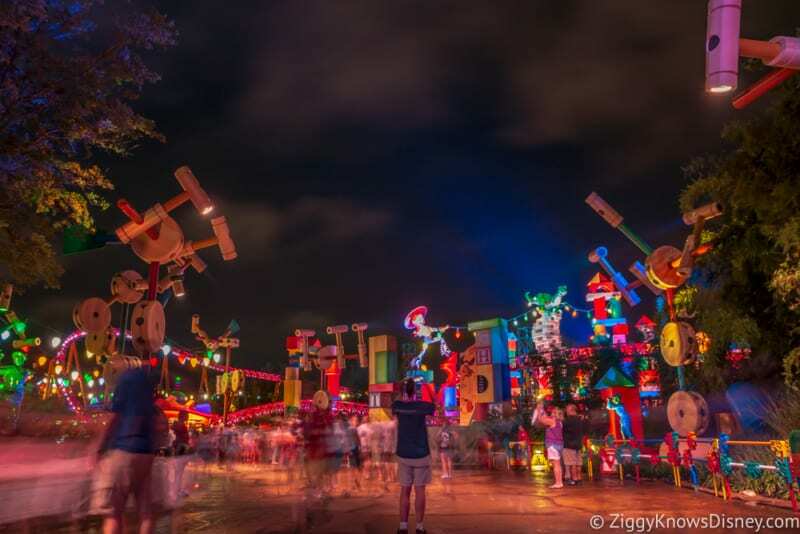 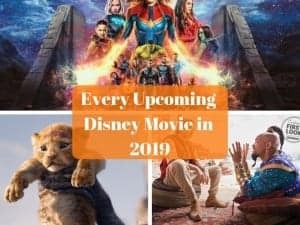 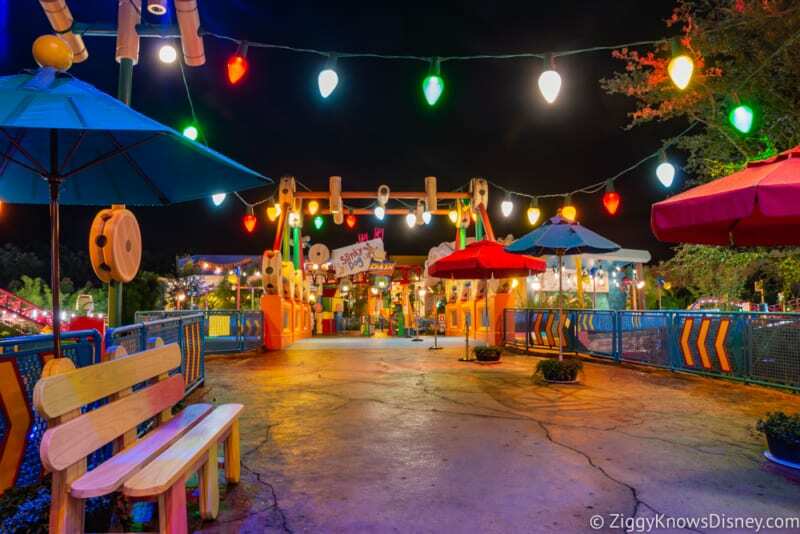 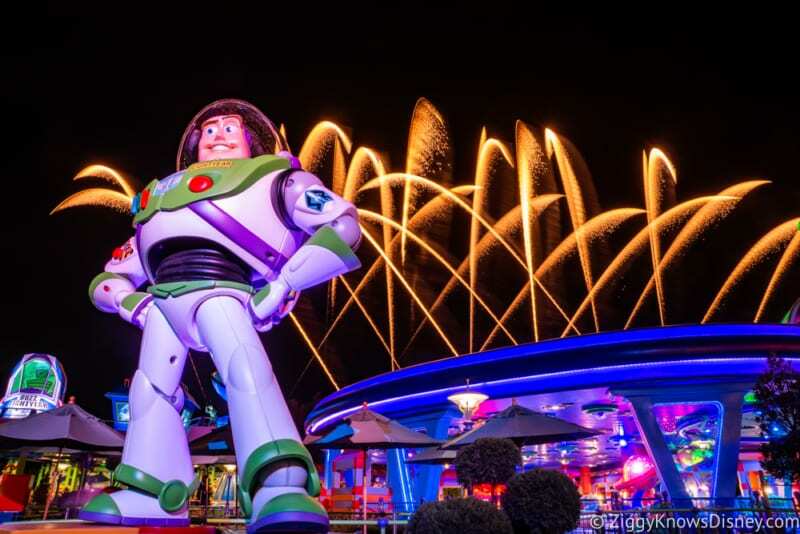 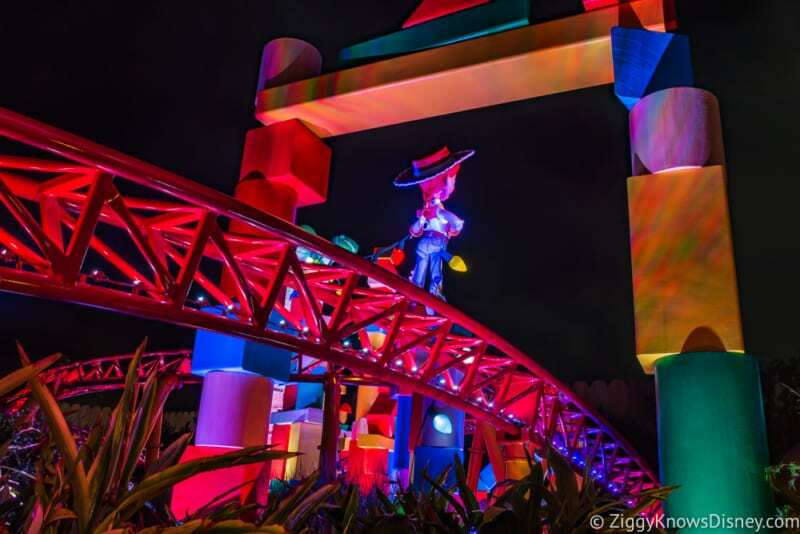 We were able to check it out and do a photo tour walkthrough of Toy Story Land in the day, but we were even more excited about seeing it all light up at nighttime. 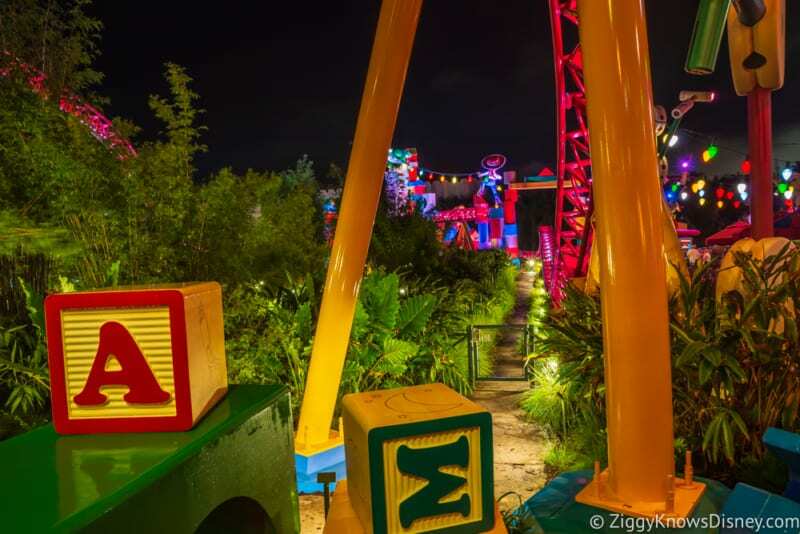 Since Toy Story Land has opened we’ve stayed till the very end and closed down it which gave us the perfect opportunity to get some good night shots of the land. 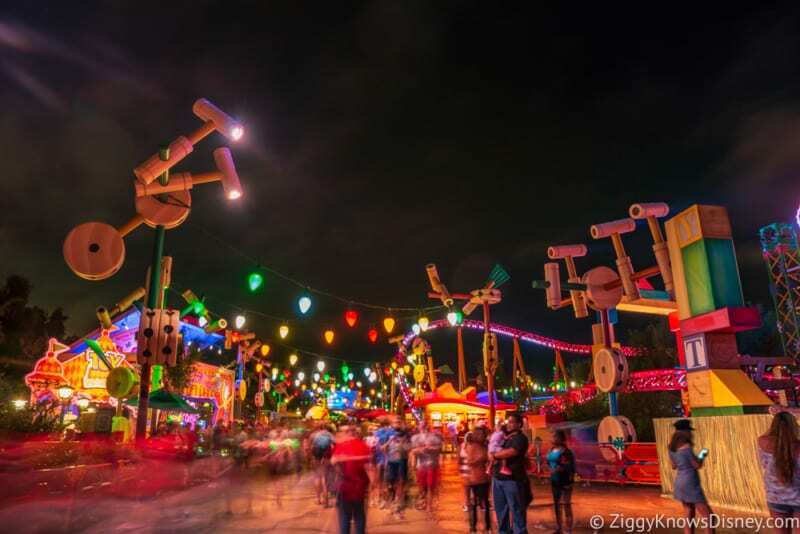 Another great thing about Toy Story Land at night is that is much cooler and much less crowded. 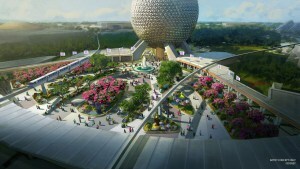 There aren’t many shaded spots during the day but now that doesn’t matter! 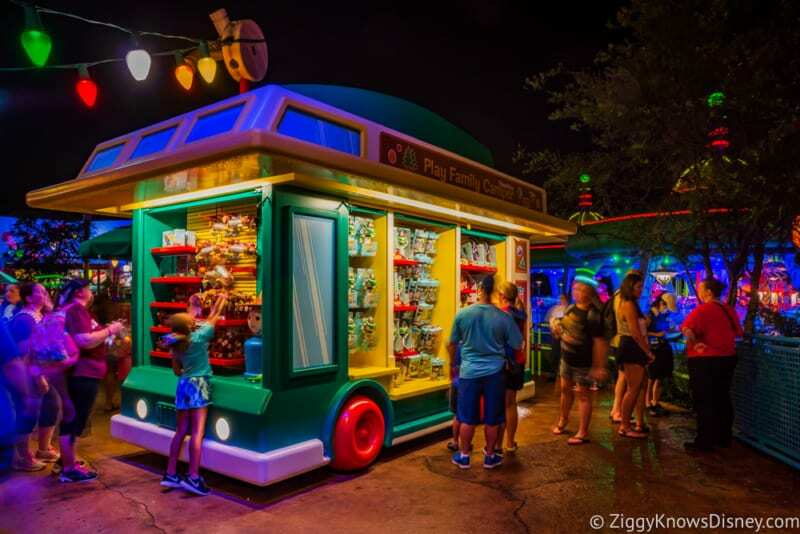 Woody’s Lunch Box is our new favorite spot in Hollywood Studios and we love it just as much at night! 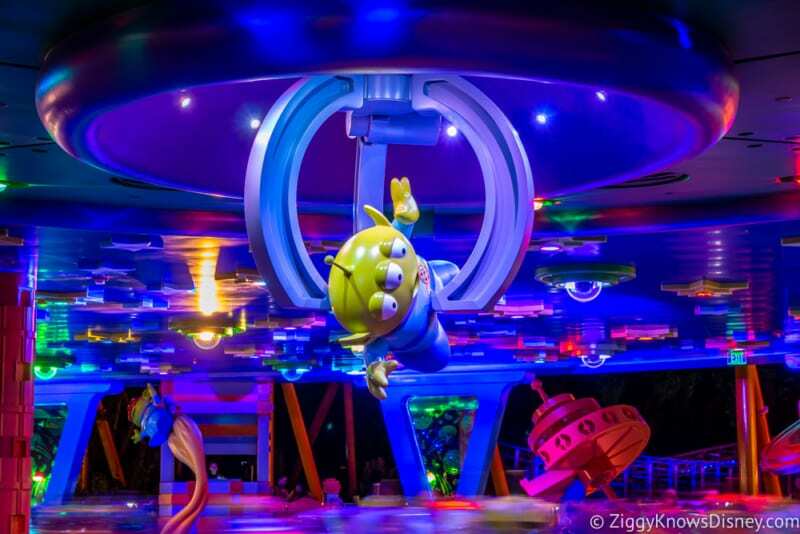 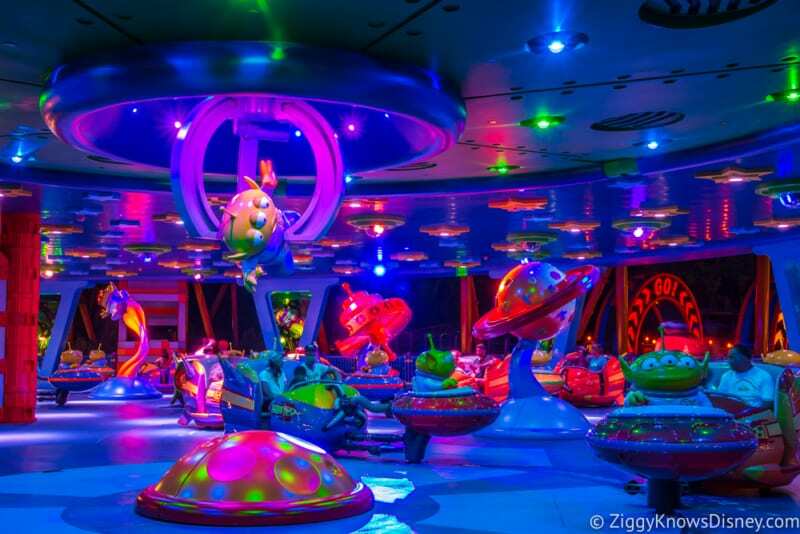 It adds so much more character to the ride and they seem to come to life! 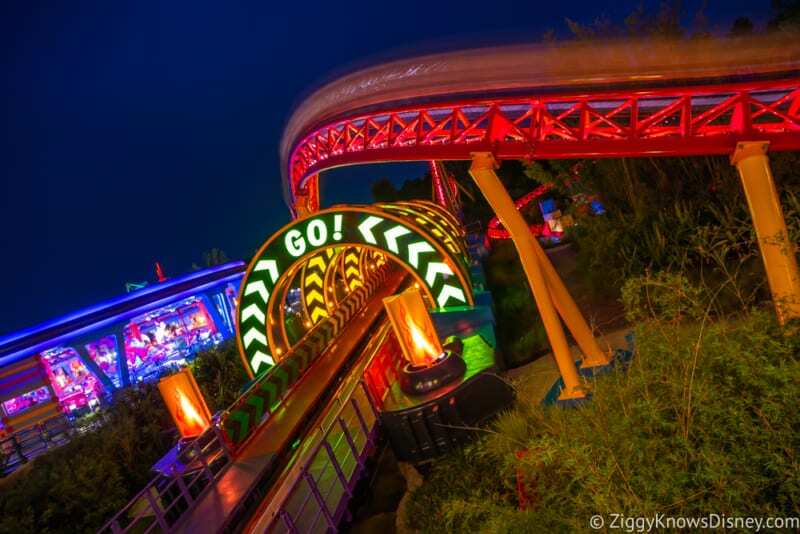 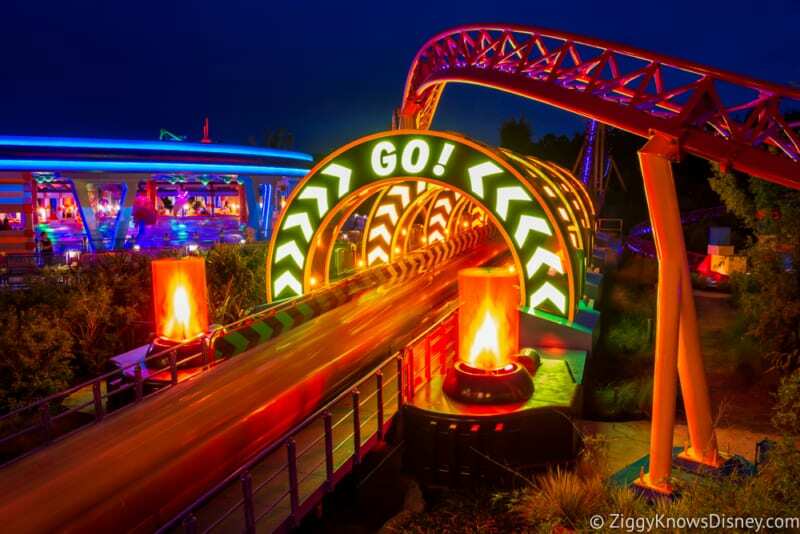 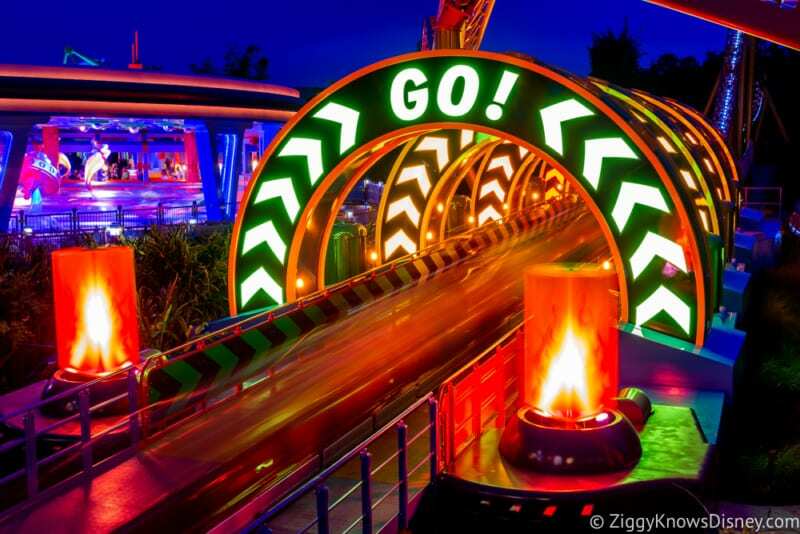 Love the lighting effects on the track at night! 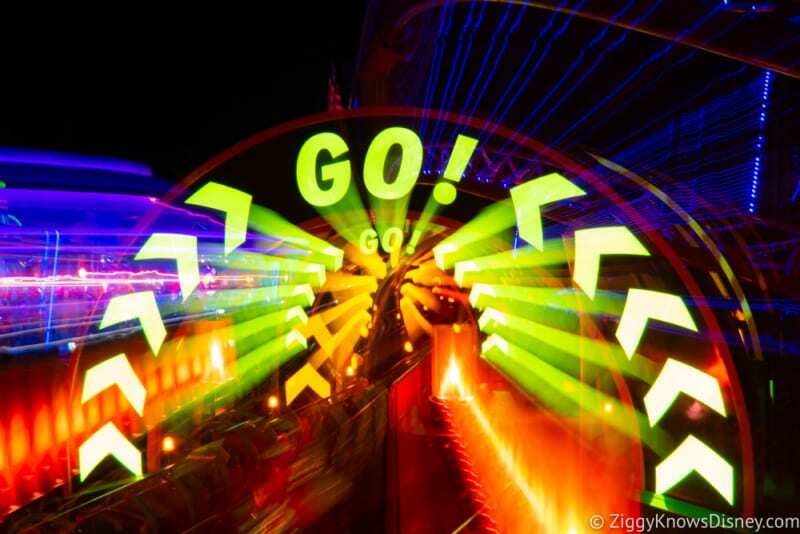 It’s like a whirlwind once they start! 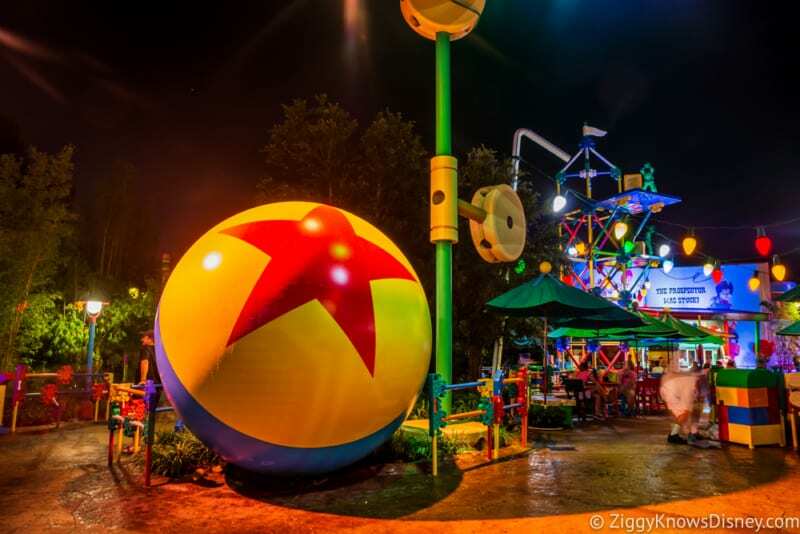 As you can see, Toy Story Land at night is really cool and has a lot of benefits over being there in the day. 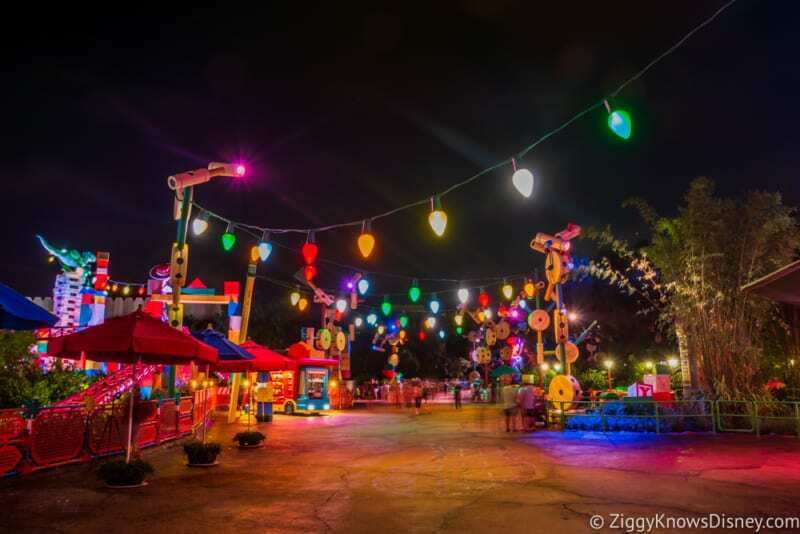 For sure you’ll find less crowds and less heat so for those reasons alone you can’t go wrong. 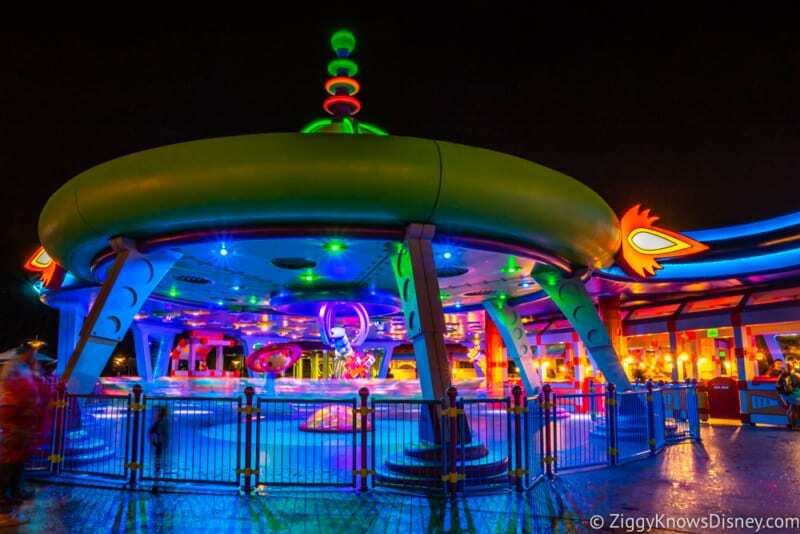 Overall I think the Imagineers did a fantastic job with the lighting and I think it has a really cool vibe at night. 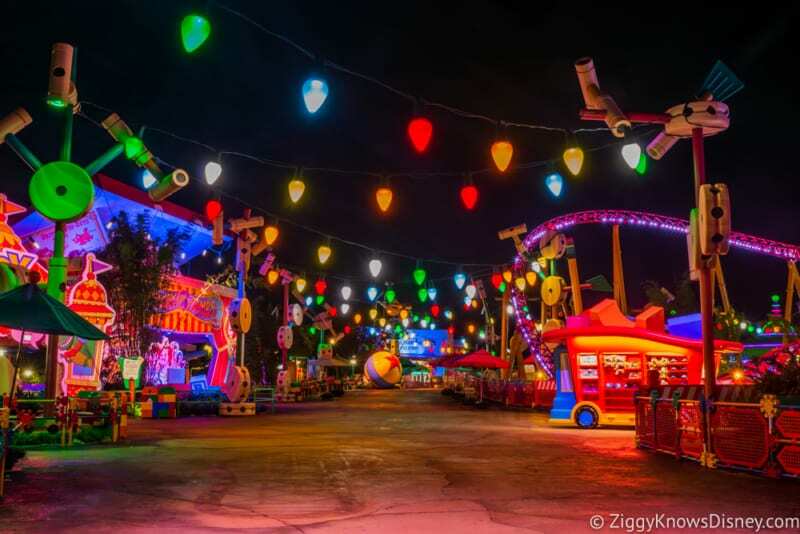 For photographers it will be quite challenging though as the lighting plays tricks on you and lots of the buildings and figures are brightly lit in one area and less so in others. 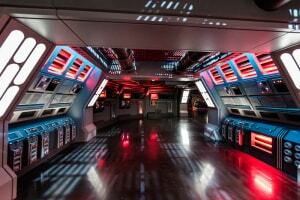 I can’t wait to spend more time here at night to get the hang of it! 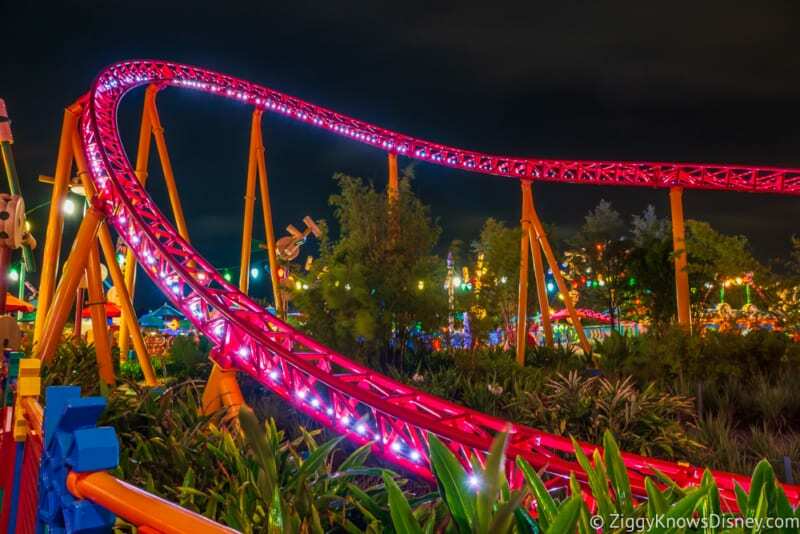 Do you like it better during the day or at night? 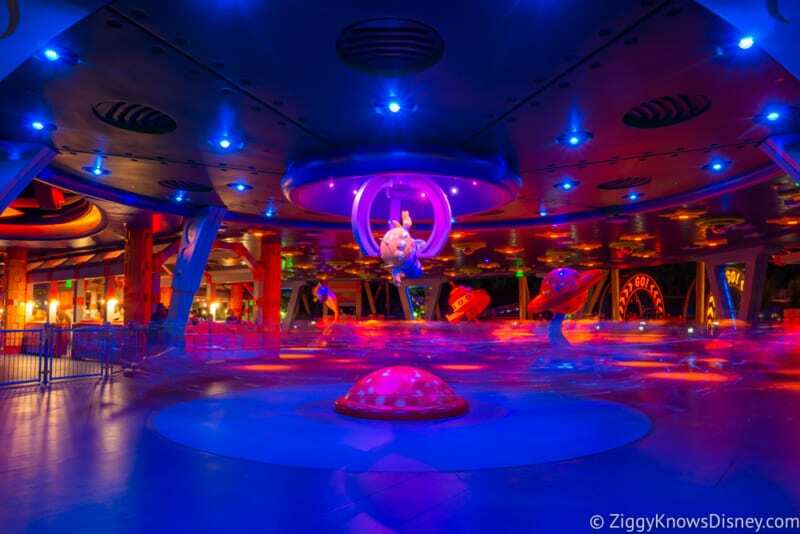 What part of it do you like best? 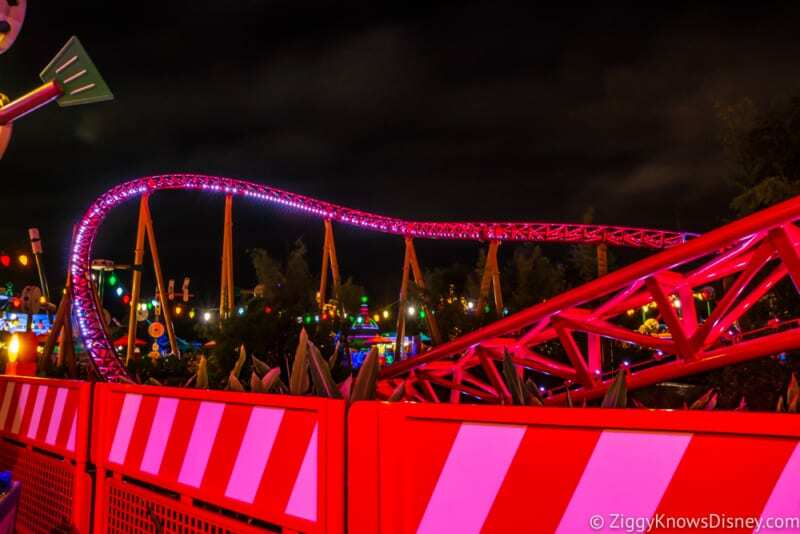 Definitely looks much cooler at night.